E34 has long been lauded as one of the greatest chassis of 5-series lineage, and with the M5 version being a bit out of reach (if only for rarity), a great alternative is this little known gem. Seen this before. Nice ride. 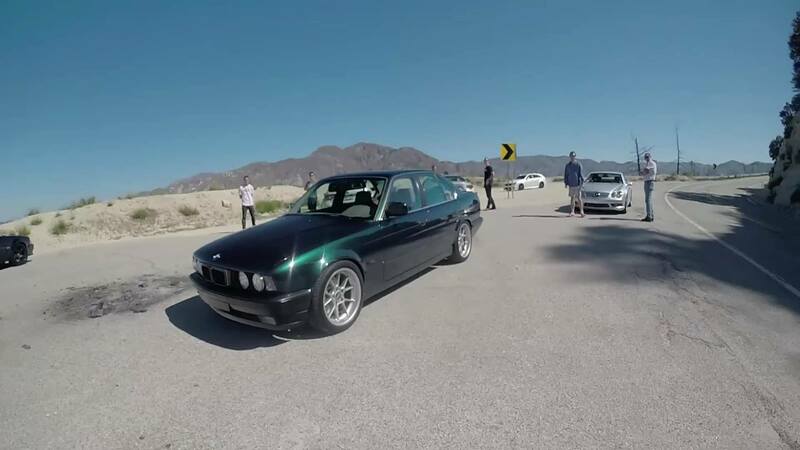 Matt did a Smoking Tire video of e34 belonging to friend of mine. If anyone has ever heard of RED FIVE Racing or One lap America. Well this is the car which Justin aka Red Five had built. Today the car is for sale as either the whole car or the turbo and engine build setup only. Hi ALL From Cape Cod 2nd 5 series ownah..